What happened to the old railings on the right hand side….. I remember squeezing through them as a child whilst my mum shopped, and my mum recalls doing the exact same thing back in the twenties! 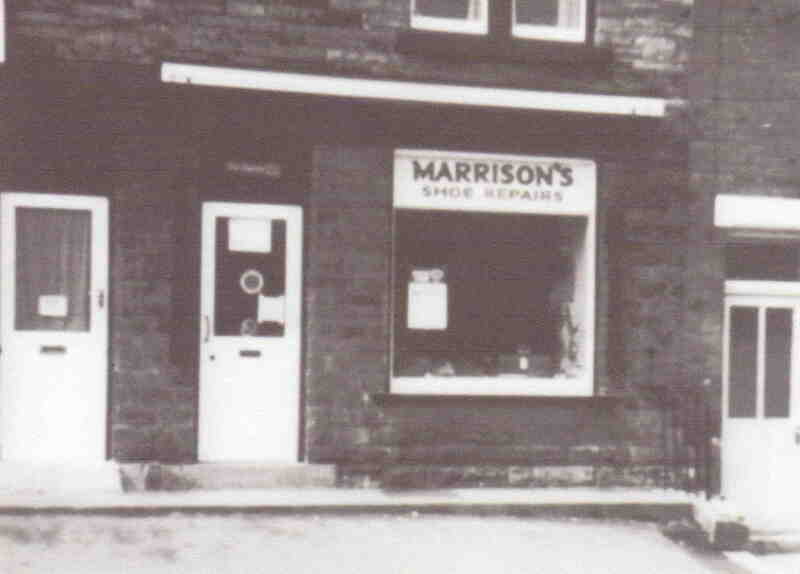 Cliff Marrison leased the shop at 18 Bridge street, from my great grandparents, Robert and Rebecca Wain who still lived at the back and above the shop premises Rebecca ran the shop selling confectionery and made her own ice cream .My dad told me he could remember helping by mixing the milk, sugar and butter in a big churn in the back outhouse.Robert was a Gas fitter and Master decorator and grainer well renowned in the village for graining doors.